A developer unpublished his modules from the central npm repository (as is his right) after an altercation with the makers of Kik, the messaging app. This then caused a cascade of problems..
A brief high level summary of how the unpublishing of the left-pad module caused other projects to break. Want to run Node apps on Google App Engine? Now you can, and Google has offered up lots of samples, tutorials, and tools to help. 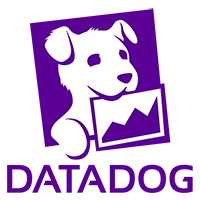 Submit custom metrics via Datadog's HTTP API or node.js client libraries. Graph, analyze, correlate and comment on metrics from across your stack in one place. 14-day unlimited trial. Yes, this is Just For Fun™, but what fun it is. If your module can fit into 140 characters, tweet it, then load the tweet into your app. Job done. Isaac Z. Schlueter reflects on this week’s events around the disruption caused when a package that many projects depend on was unpublished by its author. This tutorial series demonstrates using Elasticsearch as an image search system with Node doing the image processing. It’s like Alfred or Spotlight on OS X but for Windows and written using Node and Electron to become a desktop app. Terminal-based stepping, breakpoints, and watching. I’m not sure this makes Kik look any better (disclaimer: only my opinion). Suggested as a way to avoid left-pad related issues, but was ultimately turned down with a good rationale. Choosing the right web framework is hard. Get familiar with the major options to find the best one for you. For gzip, CORS, parallel processing, and more. An upcoming webinar looking at a rapid way to build APIs. Complements npm shrinkwrap by maintaining a folder where tarballs of your dependencies can be stored, preventing left-pad style issues. Intrigued how popular your dependencies are?